Sepsis Awareness Month Aims To Raise Understanding of this Leading Cause of Death in U.S. Hospitals. Sepsis is the body's overwhelming reaction to an infection (sometimes also called blood poisoning). If not treated quickly it can lead to organ and tissue damage and death. 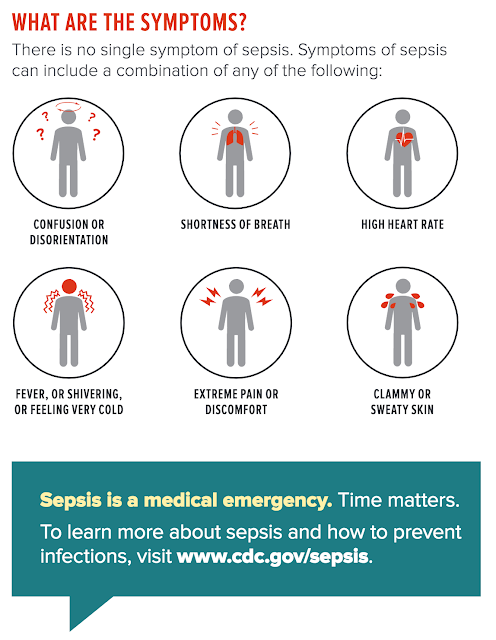 September is Sepsis Awareness month and the CDC has educational materials describing Sepsis. Most importantly, know the symptoms. And if you suspect sepsis, tell your doctor and health care providers, "Could this be sepsis?" Sepsis is a medical emergency. If you suspect sepsis, get to an emergency room immediately and tell them you suspect SEPSIS. Questions about an injury or death due to Sepsis? Contact our medical malpractice lawyers for a free case review in New Hampshire, Massachusetts, or Rhode Island. How Safe Are New Hampshire Hospitals? Twice a year, the Leapfrog Group grades hospitals nationwide based on national performance measures* to produce an A, B, C, D or F letter grade representing a hospital’s overall performance in keeping patients safe from preventable harm and medical errors. 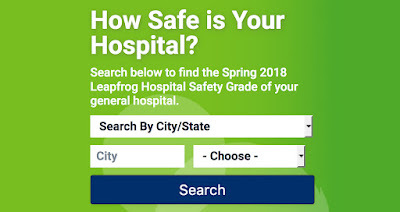 In the past year, New Hampshire’s total Hospital Safety Score ranking fell from 16th best last fall to 33rd this spring, with fewer than half of NH’s acute care hospitals receiving an A grade, as reported in the New Hampshire Union Leader. The Leapfrog Hospital Safety Grade was launched in 2012 to help increase awareness of hospital errors, injuries, accidents and infections. Infections, such as MRSA, C. diff, infections in the blood during ICU stay or surgical site infections. * National performance measures include those from the Centers for Medicare & Medicaid Services (CMS), the Leapfrog Hospital Survey, the Agency for Healthcare Research and Quality (AHRQ), the Centers for Disease Control and Prevention (CDC), and the American Hospital Association’s Annual Survey and Health Information Technology Supplement. Questions about a medical error or the quality of your hospital care? As mentioned in our recent Patient Safety Blog post, cancer diagnosis delays are unfortunately too common in our healthcare system. 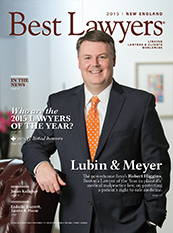 Lubin & Meyer's attorneys have tried many cases of cancer diagnostic errors over the years. We archive many of the trial reports of our verdicts and settlements that provide a wealth of details of such cases. This lawsuit claimed that a urine sample showing blood in the urine required referral to a urologist, which would have resulted in a proper workup that would have diagnosed the decedent’s cancer at an earlier stage. 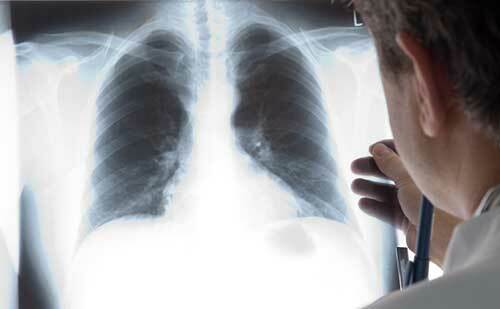 Medical malpractice action claims PCP’s failure to address cough and order chest x-ray leads to delay in lung cancer diagnosis. This lawsuit claims the pathologist who evaluated appendix after removal was negligent in failing to identify the cancer and note it in her report. If you have questions about a possible medical malpractice lawsuit related to the diagnosis and treatment of cancer, please do not hesitate to call our cancer lawyers. We represent patients in New Hampshire, Massachusetts and Rhode Island. We offer a free case review of your experience to determine if you received inappropriate care that caused you permanent harm. There is no cost to evaluate your potential claim. For more information on how medical malpractice is determined in cancer cases, visit our cancer diagnosis delay information page. Lubin & Meyer PC, the Boston-based medical malpractice law firm representing patients in Massachusetts, New Hampshire and Rhode Island, set the standard again in 2017. 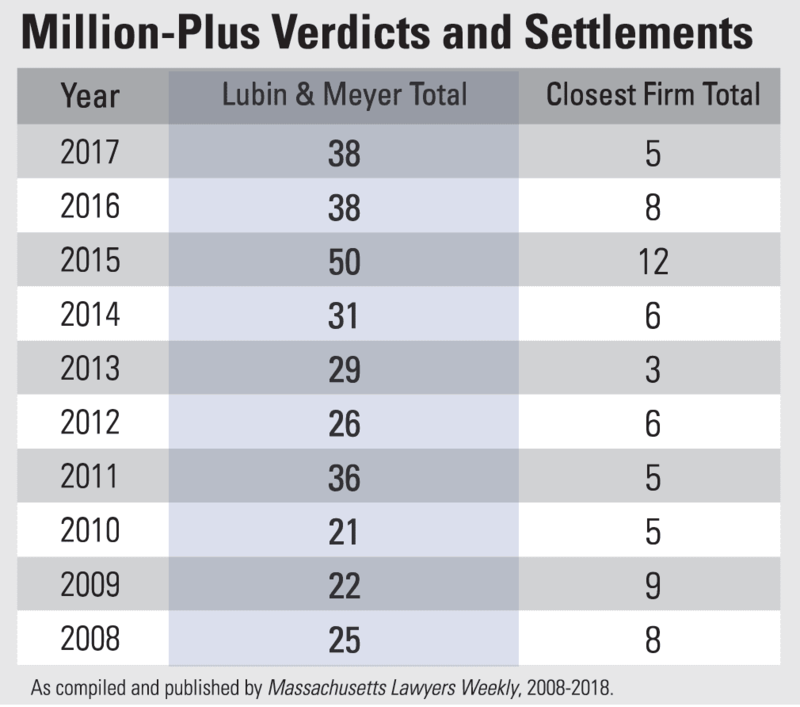 With an annual Tier One Best Law Firms Ranking in Medical Malpractice and Personal Injury Litigation - Boston, the firm also annually tops the Largest Verdicts and Settlements listing compiled and published each year by Mass. Lawyers Weekly. 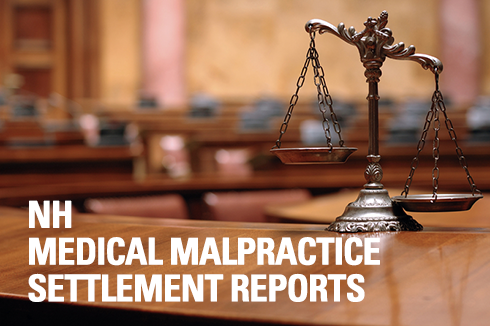 Questions about a possible medical malpractice case? Please do not hesitate to contact our medical legal team for a free case review in New Hampshire, Massachusetts, or Rhode Island. Lubin & Meyer maintains The Patient Safety Blog as a place to raise awareness of patient safety issues, including local and national research studies and sharing of patient safety initiatives that show promise for improving healthcare quality for all. Below we share some of the most popular posts from our blog in 2017. 11% reported having experienced an error both personally and involved in someone else’s care. Read full blog post here: Medical errors in U.S. The Boston Globe's Liz Kowalczyk exposes a worrisome trend — an increase in the maternal mortality rate July 30 article in response to the deaths of two expectant women in labor and delivery at MetroWest Medical Center in Framingham, Massachusetts. 3. How Safe Is Your Hospital? While the risks are low, it is extremely important that a surgeon properly identifies the gallbladder and closely situated anatomy such as bile duct and blood vessels to avoid the possibility of cutting, perforating or nicking any other areas with the surgical tools while removing the gallbladder. Questions about a possible medical malpractice case. Please do not hesitate to contact our medical legal team for a free case review in New Hampshire, Massachusetts, or Rhode Island. About a year ago we highlighted a Report on Medical Errors at NH Hospitals and the excellent coverage by InDepthNH.org, which ran a series of articles on the 29 adverse events — or medical errors — that New Hampshire hospitals are required to report to the Department of Health and Human Services. That reporting detailed the latest data from 2014. Late last year, 2015 adverse reporting data was released, and again covered by InDepthNH.org. This post is a brief update to last year's report with a link to the full NH DHHS report. To see which NH hospitals reported which adverse events, click on this link: NH Adverse Event Reporting. By definition, these events must be “largely, if not entirely, preventable.” There were 64 such events in NH hospitals in 2015. Number of preventable serious events at NH hospitals from 2010-2015. For a list of the 29 hospital errors that must be reported (also known as "never events"), see our previous post which provides a full list of the types of unwanted hospital events. There is no fee to have your case reviewed by our medical malpractice lawyers. We have added the trial lawyer's report of a recent NH birth injury lawsuit to our Verdicts & Settlements archive at lubinandmeyer.com. The suit claimed that at the time of birth the infant (now 2 years old) suffered hypoxic ischemic injury (HIE) resulting from the OB/GYN’s negligence during labor and delivery. As a direct result of her brain injury, she suffers muscle weakness, developmental delays and cerebral palsy requiring occupational, speech and physical therapy. Benjamin R. Novotny was the lead attorney. Click on the link below to read the full trial report. Inappropriate management of labor and delivery results in permanent brain injury resulting in cerebral palsy. 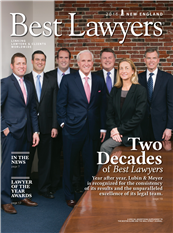 In a profile published in The Huffington Post, Andrew C. Meyer Jr. is described as "the go to guy for families in MA, NH, and RI, who are dealing with the devastating consequences of medical malpractice." The article includes highlights of Meyer's long career representing victims of medical mistakes and unique experience working with the complicated emotions that result when a patient has been harmed by a trusted doctor or institution. 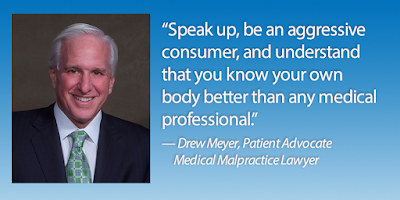 Medical Malpractice Attorney - Andrew C. Meyer Jr. In the article Meyer talks about trust as a common issue among those who have been injured. "He says that the reason they come through his doors at Lubin & Meyer PC is because they put their trust in the hands of a highly qualified professional; their doctor, nurse, midwife, physician’s assistant, psychiatrist, dentist, or other medical professional, and they were ultimately harmed by that person. He says that his first order of business is sitting with a client to listen intently in order to fully understand their plight and his second order of business is to answer the question that every client is thinking, but usually unwilling to express, 'Why should I trust you?'" According to Meyer, clients can feel "angry, embarrassed, and guilty for what happened, often blaming themselves for not having known the possible outcome of a particular medical procedure." Meyer works to help the injured begin to understand they are not the only family that has suffered horrible losses, and that "they are not at fault for the tragedy which has brought them all together." By pursing the long affair of a medical malpractice lawsuit, the injured and their families become "warriors and whistle blowers who are willing to step forward to share their story" to affect change in the system. "Very rarely are his clients embarking upon the very long road to justice for the money. He says that sometimes the money is absolutely necessary to provide care for someone who will need lifetime assistance due to malpractice, such as the $30 million settlement for a child who was born with major birth defects due to the egregious negligence of an entire medical team. But more often than not, the monetary award is necessary to force change within the medical community." 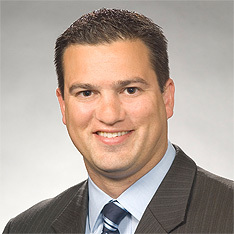 The article states that Meyer is known for negotiating settlements that call for more than just money. "In most cases, they negotiate for major changes in systems and procedures at hospitals and medical practices. He says that there are countless system defects within the industry and, in most instances, the patients at these medical facilities have no idea." You can read the full article on The Huffington Post at this link: Drew Meyer profile. Lubin & Meyer PC has published three trial reports on recent medical malpractice settlements in New Hampshire. All cases involved a delay in diagnosis and treatment of a serious medical condition while in hospital care. Nicholas Cappiello was the lead attorney in these recent New Hampshire lawsuits. Click on the case links below to read the full trial reports. Delay in Diagnosis of Cancer - A New Hampshire man's soft tissue sarcoma went undiagnosed by primary care physician for years — spreads to lungs, liver, pancreas and brain. A delay in the diagnosis of cancer can have a profound impact on a patient's prognosis. Delay in Treatment of Cauda Equina Syndrome - A 28-year-old woman suffered a delay in the diagnosis and treatment of cauda equina syndrome, resulting in permanent foot drop and bowel and bladder dysfunction. There has been an increase in the number of cauda equina lawsuits. 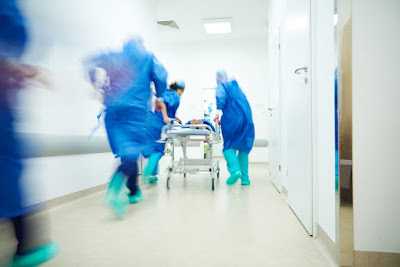 You can learn more about cauda equina on our Patient Safety Blog at: Cauda Equina: A Dangerous Outcome When Patient Complaints Are Not Taken Seriously. Delay in Diagnosis of Compartment Syndrome - A 47-year-old man developed compartment syndrome and permanent foot drop following a heart valve repair surgery. View more verdicts and settlements by Lubin & Meyer. There is no fee or cost to you to have your case evaluated by our qualified medical malpractice attorneys. Did you know? 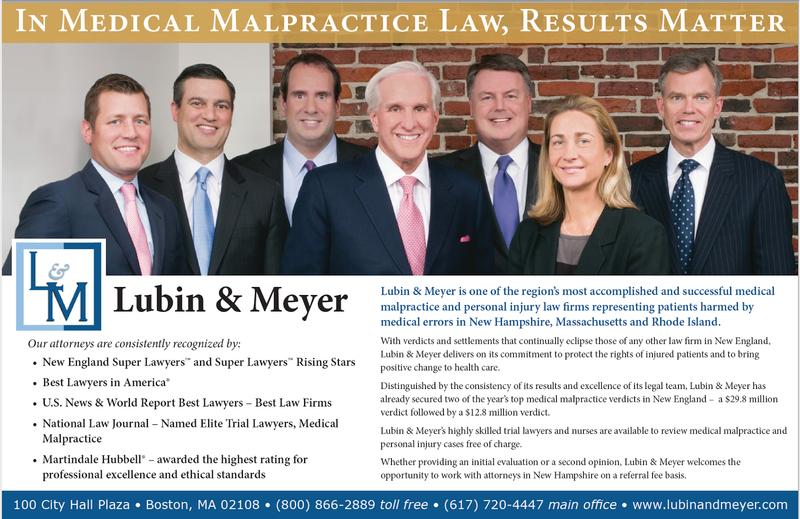 Lubin & Meyer is one of the region’s most accomplished and successful medical malpractice and personal injury law firms representing patients harmed by medical errors in New Hampshire, Massachusetts and Rhode Island. With verdicts and settlements that continually eclipse those of any other law firm in the region, Lubin & Meyer delivers on its commitment to protect the rights of injured patients and to bring positive change to health care. Lubin & Meyer has already secured two of the year’s top medical malpractice verdicts in New England – a $29.8 million birth injury verdict followed by a $12.8 million verdict. Whether providing an initial evaluation or a second opinion, Lubin & Meyer welcomes the opportunity to work with persons in New Hampshire. With attorneys both licensed and living in New Hampshire, we are are ready and able to review medical malpractice and personal injury cases — free of charge. Feel free to contact us with your questions. Lawsuit alleges: Elective toe surgery ends in stroke death when patient's blood thinning medication is not properly managed. Lubin & Meyer recently filed a NH medical malpractice lawsuit involving a 70-year-old woman who passed away after suffering a massive stroke when, as the lawsuit claims, her healthcare providers failed to properly manage her Coumadin levels (blood thinning medication) when she underwent an elective toe surgery. Attorney Nicholas Cappiello, who represents the claimant in this lawsuit, said that Coumadin dosing errors are a significant problem in healthcare. "It is a major safety issue for patients because Coumadin can be a dangerous drug if not properly monitored — when healthcare providers do not take the time to pay attention to their patients then the results can be catastrophic for the patient." Coumadin is a drug with tremendous benefits when properly monitored and administered, but it can kill a patient when not given in the proper amounts, according to Cappiello. "Hospitals and healthcare providers have an obligation to closely monitor patients on Coumadin, but far too often we see that they are inattentive to their patients, and the consequences are devastating." This lawsuit claims that the patient's cardiologist and his nursing staff failed to administer the proper blood thinning medication before her surgery and then failed to adjust her Coumadin after surgery when her lab tests showed that her blood was too thick, which put her at a significantly heightened risk for suffering a stroke. Because they did not administer the proper dose of blood thinning medication, according to the lawsuit, the patient’s blood was allowed to clot and she ultimately suffered a massive stroke and died. 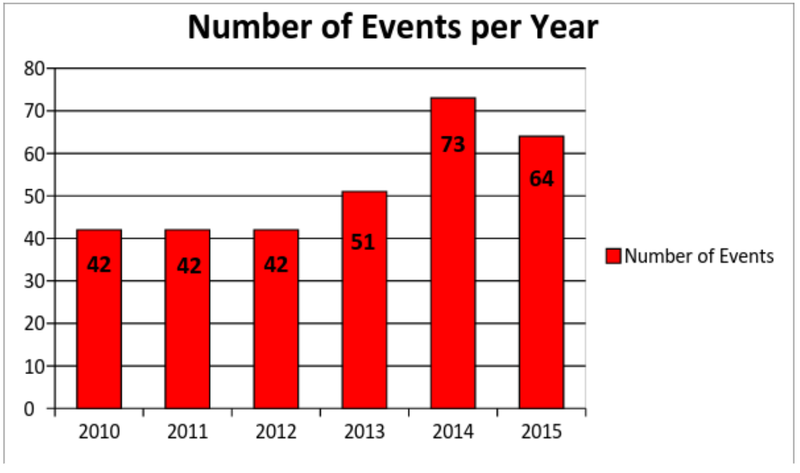 The most recent data from 2014, shows 73 never events were reported. These include 25 patient falls and 22 pressure ulcers, as well as 14 surgery-related errors at NH hospitals including Catholic Medical Center, Concord Hospital, Mary Hitchcock Memorial Hospital, and Portsmouth Regional Hospital. How did your hospital do? See the full public document listing the type of adverse events reported by each NH hospital at this NHDHHS web page. 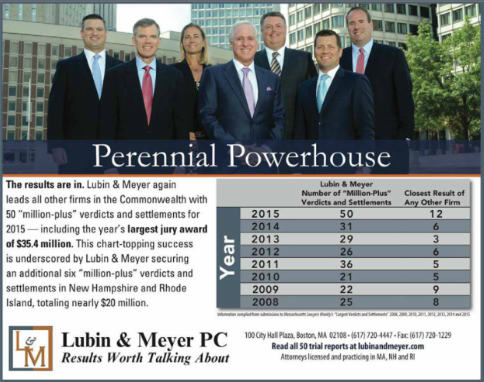 Lubin & Meyer PC eclipsed the results of all other firms in New England having achieved 50 "million-plus" verdicts and settlements for 2015 as compiled by Massachusetts Lawyers Weekly, and published in its January 15, 2016 edition. 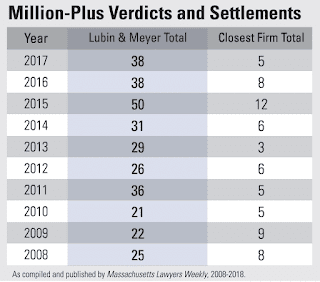 Lubin & Meyer secured more than four times as many million-plus verdicts and settlements than its closest competitor in Massachusetts — and the firm secured six additional million-plus verdicts and settlements in New Hampshire and Rhode Island for a record 56 verdicts and settlements of $1 million or more. Click to view more of the largest verdicts and settlements of 2015. As reported by lawyer for the plaintiff, Benjamin Novotny, Lubin & Meyer PC. The plaintiff is a 50-year-old New Hampshire woman who suffers from significant weakness of her lower extremities and bowel and bladder incontinence from a delay in the diagnosis and treatment of cauda equina syndrome. On February 23, 2011, the plaintiff presented to her primary care doctor’s office complaining of pain in her right leg and lower back pain for the prior two weeks. She also reported that her leg pain radiated from her lower back, down her leg, to her toes. On exam, the defendant noted tenderness in the L4-L5 region of her back. Of particular note, this is the exact same location where the patient’s disc herniation and cauda equina syndrome was eventually diagnosed. Without requesting a consultation or performing a single imaging study, the defendant physician diagnosed the plaintiff with lumbar disc disease and sciatic syndrome. She was given a prescription for cyclobenzaprine (Flexeril) and prednisone with instructions to return in two weeks for re-evaluation. Approximately one week later, March 4, 2011, the plaintiff’s husband called the defendant’s office and reported that his wife was experienced worsening back pain, muscle spasms, and lower extremity weakness with numbness and tingling. Later the same day, the plaintiff was seen again by the defendant. She reported increased lower back pain with pain radiating to her legs which had worsened over the prior two days. The plaintiff also reported difficulty walking due to bilateral leg weakness, numbness, and tingling. The defendant diagnosed the plaintiff with lumbar disc disease and prescribed cyclobenzaprine 10 mg TID, oxycodone 5 mg every 4-6 hours, prednisone, and physical therapy. The very next day, March 5, 2011, the plaintiff presented to St. Joseph’s Hospital with an inability to walk, numbness in both lower extremities, and incontinence. An MRI was ordered and showed a very large disc herniation at the L4-L5 level completely obliterating the thecal sac (the membranous sheath that surrounds the spinal cord). Based on the MRI findings, neurosurgical evaluation at Lahey Clinic, Burlington, was recommended for cauda equina syndrome. The plaintiff was transferred to Lahey Clinic where she underwent a complete L4 laminectomy and bilateral L4-L5 diskectomy. Today, the plaintiff suffers from significant weakness of her lower extremities with severely antalgic gait. She has difficulty with bowel retention and suffers a neurogenic bladder with incontinence. To learn more about cauda equina syndrome, please see this recent post on our Patient Safety Blog on Cauda Equina, related to this case. 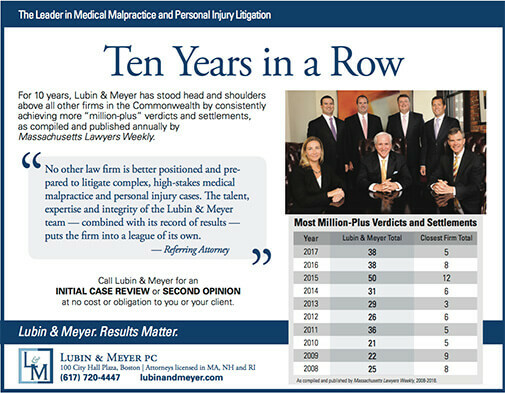 Lubin & Meyer PC - New Hampshire's Leader in Medical Malpractice Law. Attorneys practicing in MA, NH and RI. As a follow up to our previous post on NH hospital infection data, we wanted to share these six tips from the CDC on protecting yourself as a patient from healthcare-associated infection. 1. Speak up. Talk to your doctor about all questions or worries you have. Ask them what they are doing to protect you. If you have a catheter, ask each day if it is necessary. 2. Keep hands clean. Ask everyone cleans their hands before touching you. 3. Antibiotics. Ask if they will test effectiveness of antibiotic if prescribed. 4. Know the signs of infection. Some skin infections, such as MRSA, appear as redness, pain or drainage at an IV catheter site or surgery site. 5. Watch out for c. diff. If you have 3 or more diarrhea episodes in 24 hours, tell your physician, especially if you are on an antibiotic. 6. Protect yourself. Get vaccinated against flu and other infections to avoid complications. For more detail on each of these six tips, please see this page from the CDC. A total of 219 HAIs was reported by hospitals in 2014, compared with 183 in 2013. Compared to national data, New Hampshire hospitals had fewer observed infections. Overall, statewide infection rates in NH's ambulatory surgery centers are similar in comparison to national data. 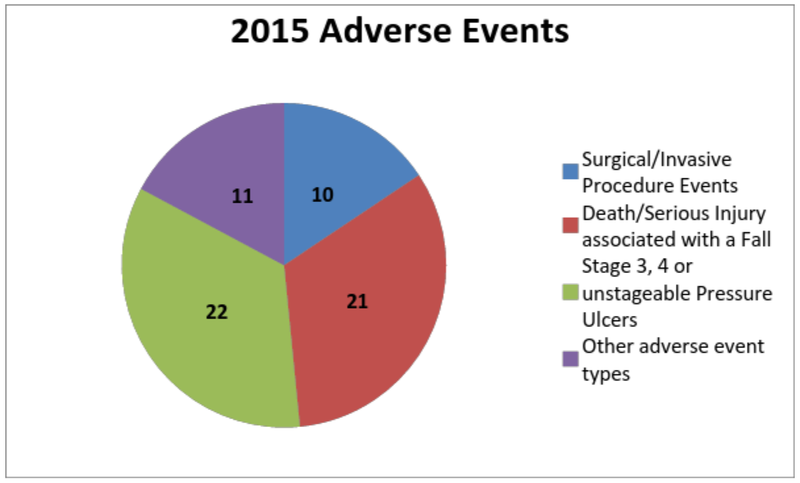 A total of four surgical site infections were reported for 2014, compared with six in 2013 and four in 2012. The reports also provide data on hospital and surgery center compliance with measures that help protect patients from healthcare-associated infections. These data include adherence to infection prevention practices during central line insertions in hospitals, the appropriate use of antimicrobials during surgical procedures in ASC, and influenza vaccination coverage among hospital and ASC healthcare personnel. A recent $35.4 million dollar verdict in the case of a woman who had a stroke hours after giving birth to her first child is among the largest jury awards in New England for a medical malpractice lawsuit. Attorneys for the plaintiff were Benjamin Novotny and Karen Zahka of Lubin & Meyer. Below is coverage by WCVB-TV Channel 5. How Do NH Hospitals Measure Up in Avoiding Infections? The Center for Disease Control (CDC) recently released national and state-by-state progress reports on the efforts by healthcare facilities to eliminate Healthcare Associated Infections (HAIs). When compared to the national baseline, New Hampshire hospitals show significantly lower infections (reports use 2013 data). However, compared to 2012 state level data, NH showed an increase in surgical site infections (SSIs) — a 40% increase in SSIs related to abdominal hysterectomies and a 13% increase in SSIs related to colon surgery. For more detailed information, download the New Hampshire Fact Sheet.